Equestrian paintings, cat studies, landscapes and themed originals (which combine social comment with historic observation viewed from a biblical perspective) demonstrate Terry’s artistic skill, versatility and imagination. 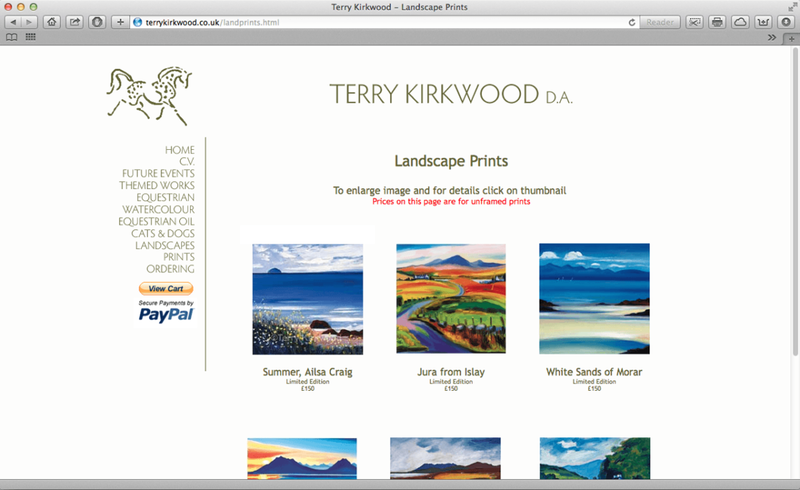 The web site offers a variety of original art by the artist with limited and open edition prints conveniently categorised for you to browse through. The site is custom built using HTML and incorporates Paypal for online payments. I am currently updating and modernising this site.